Every hunter has his or her bucket list of dream trips; near the top of my list is bowfishing alligator gar. I recently watched this video about bowfishing alligator gar and simply had to share it with you. 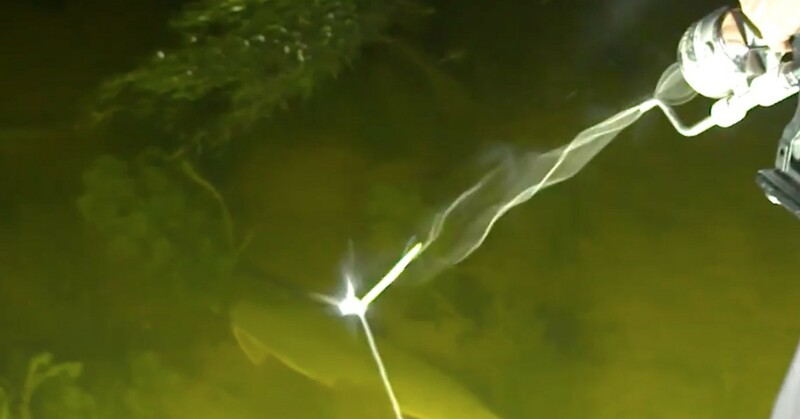 I’ve bowfished nearly four decades in my home state of Minnesota, and while I’ve arrowed some decent-sized carp, I’ve never shot anything close to the fish showcased in this film. Here, you’ll see John Paul Morris, Chuck Belmore and Jon Justice in Venice, Louisiana, as the trio searches for a prehistoric monster that's part alligator, part fish — the alligator gar. The giant fish has more teeth jammed in its mouth than what seems possible, and getting an arrow to penetrate its thick hide/scales is no easy task. The anticipation and underwater life under the lights is certainly part of the pursuit. And like any hunting camp — even one on the water — it’s the good people who make or break a trip. I’d love to chase giant alligator gar with stick and string, and doing it after dark would make the adventure that much better. Yeah, this trip is near the top of my bucket list. And compared to an elk bowhunt on a private ranch out West, bowfishing alligator gar is a mere drop in the bucket. Kudos to Mossy Oak for capturing the essence of this amazing pursuit. And I’ll keep you posted as I figure out where/when/how to make my own archery alligator gar trip a reality.